As we edge ever closer to the end of August, it means that Britain’s two premier rock festivals – Reading & Leeds – are almost upon us. 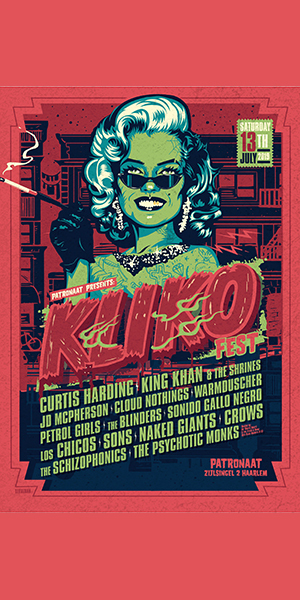 Having taken place almost continuously since 1961 (1984 & 1985 both didn’t see the festival take place), it’s become the one rock festival where most bands simply want to play. 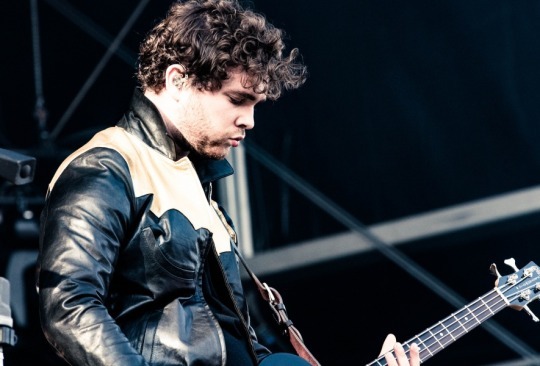 This year will see metal giants Metallica, folk rockers Mumford & Sons and returning heroes The Libertines headline alongside a wide array of exciting performances from the likes of Jamie T, Royal Blood and Pierce the Veil. We’ve taken a good look at the line-up (part of which can be found below), having listed our seven tips for Reading & Leeds Festivals below. 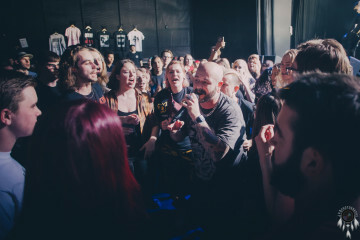 It’s safe to say that Sheffield-quintet Bring Me the Horizon are well on the way to conquering the alternative rock stratosphere, their fiercely brutal brand of melodic metalcore having taken over the world in recent years. Although their music has definitely become more accessible in recent years (this may or may not have been a conscious decision which had one eye on the major label deal they’ve now landed), it’s still stayed somewhat true to its heavy roots. 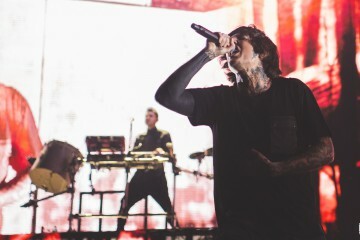 Frontman Oli Sykes’ voice perfectly complements his band’s C-tuned drops, pounding drops and ambient electronics to a point where the average Bring Me the Horizon song becomes a ‘journey’. 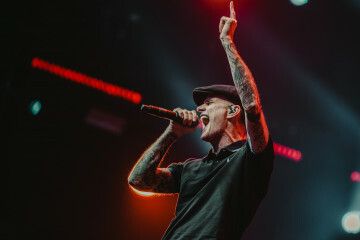 2013’s critically acclaimed Sempiternal was a fantastic example of this, and it’s helped the band get where they are now – supporting Metallica on the Reading and Leeds main stages. For a band whose roots are grounded in fierce metalcore (on the border with deathcore even), this is one hell of an accomplishment which can’t be missed come end of August. With a new album on the way (lead single Happy Song has just been released), expect this to be the biggest gig of Oli and co.’s career by a long shot. Next stop? Headliner. One band who are still messing about in the paddling pool of metal are Yorkshire quintet Marmozets, fronted by the effervescent Becca MacIntyre. 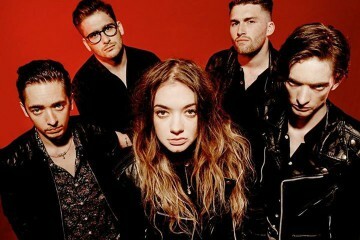 The five piece, consisting of two sets of siblings, released their stellar debut album The Weird and Wonderful Marmozets last year and it’s already seen them make a steady progression towards bigger venues. 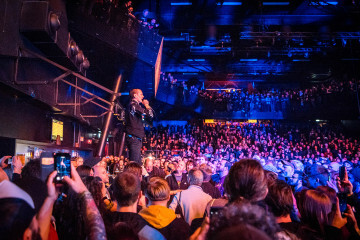 With tracks such as the batshit crazy Vibetech and stadium-ready Captivate You, it’s no surprise that the band are tipped for huge success in the future. 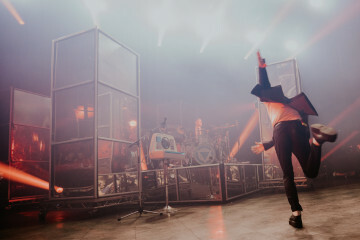 Their Reading & Leeds sets will see them perform second on the main stage, a few hours before Bring Me the Horizon and Metallica close proceedings. Last year, Marmozets played two sets in one day across the Reading & Leeds weekend, with the quintet this year hoping to combine the energy of each set into one, chaotic entity. Although they definitely have a long way to go before the dizzying heights of Wembley Arena (or even Wembley Stadium) can even be thought of, they’re well on their way to rock stardom. 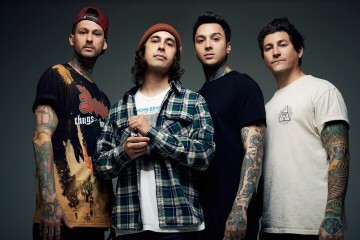 Over in the US, Pierce the Veil are on the cusp of playing massive venues (you know, the ones between clubs and arenas). Here in the UK, though, it’s slightly different. 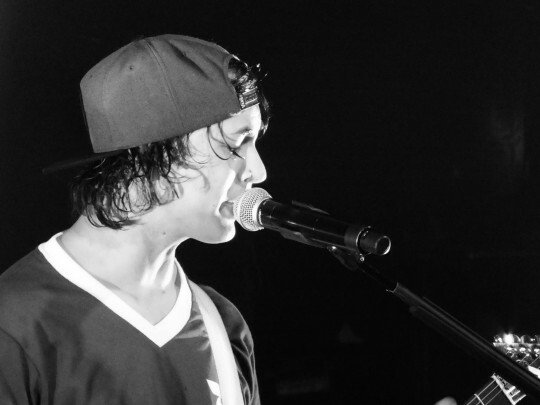 Although the Vic Fuentes-fronted quartet have seen huge successes, they’re yet to reach the heights of venues such as the Brixton Academy or Hammersmith Apollo. 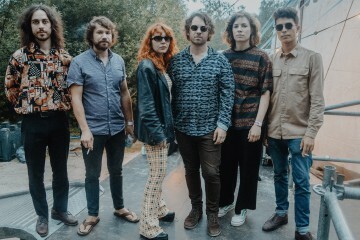 Their upcoming untitled fourth record, spearheaded by lead single The Divine Zero, looks set to change all of this and catapult them into a new level of success. The Divine Zero’s spiralling riffs, upbeat verses and massive chorus all combine effortlessly to present one of 2015’s best rock songs so far, a mean feat when you consider the sheer masses of bands that have released music this year. Appearing two slots above Marmozets on the main stage this year, Pierce the Veil are more than ready to start conquering the world, one main stage at a time. 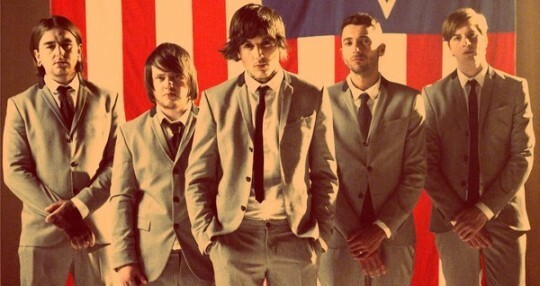 If their current stint on the Vans Warped Tour is anything to go by, then Reading & Leeds will be massive. Alongside youthful headliners Mumford & Sons and metal behemoths Metallica lies a day which features nothing more than new and returning heroes – the day spearheaded by heroes The Libertines. 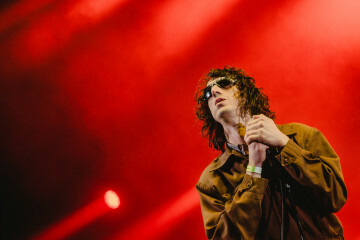 Although Compton rapper Kendrick Lamar does stick out like a sore thumb, the rest of the day is filled to the brim with nostalgia – The Maccabees, The Cribs and Jamie T are all appearing consecutively. 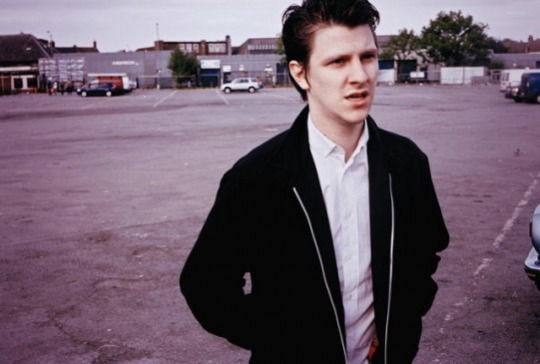 The latter of these three, Jamie T, spent what seemed like forever hiding in obscurity as he worked on 2014’s Carry on the Grudge, one of the finest records put out last year. His Reading & Leeds sets will do nothing less than attract a packed audience filled with people singing along word for word. If 2014′s secret set was anything to go by, then the moment that breakout track Sticks & Stones kicks in will likely be one of the weekends defining moments, one that you cannot miss for the world. 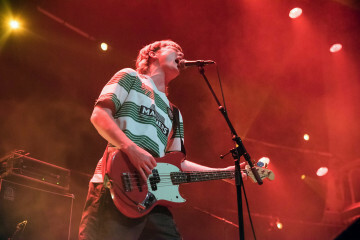 Palma Violets have a rich history with Reading & Leeds. 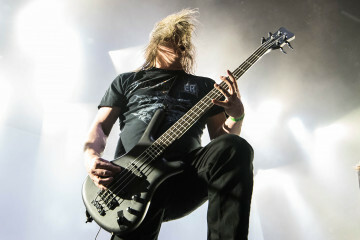 Co-frontmen Chilli Jessop and Sam Fryer both met at the former, going on to form one of rock’s most prominent success stories of recent time. Their early days saw them live and record at self-made squat Studio 180, also hosting raucous gigs within its four weak walls. 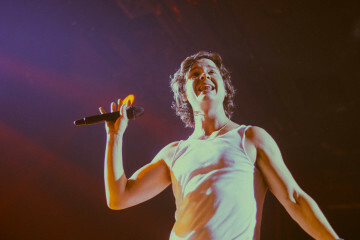 Following much media attention, the band stepped up to play for larger audiences the world over as they slowly but surely conquered the UK indie rock scene. Second album Danger in the Club went one step further, incorporating elements of pub rock and glam-laden polish to their chaotic sound, something was onset by working with Stone Roses producer John Leckie in Wales. 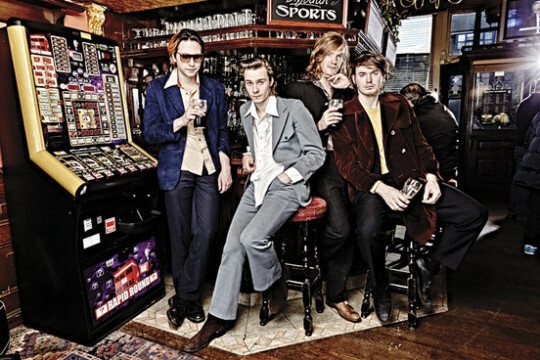 Their Reading & Leeds main stage sets might be slightly too big for them (Palma Violets thrive in intimate spaces), yet the band are no strangers in getting a crowd of any size started. Anonymous doom rockers Ghost (Swedish, obviously) have been handed a rather bad hand in their booking for Reading & Leeds this year. Although their popularity has spiked in recent years, the sextet have been given a middle-of-the-day slot on the Lock-Up/Pit Stage, something which far underestimates how good they really are. New album Meliora is set for release next month, with new single Cirice further emphasizing their ability to put on a doomy spectacle filled with brooding vocals, melodious guitars and forceful percussion. If older tracks Year Zero, Monstrance Clock and ABBA cover I’m a Marionette are anything to go by, then Ghost are probably on the verge of becoming everybody’s favourite doom rock band. Reading & Leeds will be pivotal for the Papa Emeritus III-fronted group, as it’ll show the UK public exactly what they’re all about. 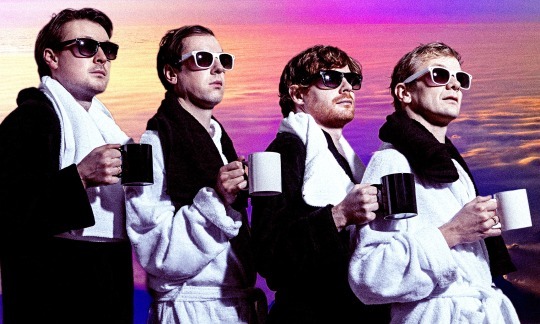 The final act on our list, Scottish art rockers Django Django, currently find themselves at a career high. 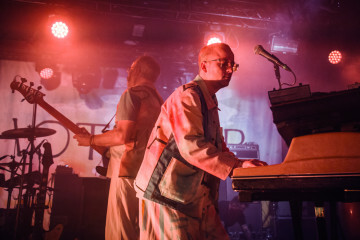 New album Born Under Saturn has been critically acclaimed by outlets the world over with good reason, and now the live shows are starting to reflect this. Reading & Leeds will see the band headline the Festival Republic Stage alongside The Wombats and Frank Turner, a well-deserved position for the extremely hard working four-piece. Born Under Saturn’s danceable grooves and indie licks will be the perfect closing moment for anyone who really couldn’t care less about seeing Mumford & Sons, New Found Glory or Limp Bizkit. In fact, it’ll be the only place onsite where you can fully let yourself go to the sound of thoughtful, groove laden indie rock. Okay, maybe not the only place, but definitely the best place. The above list of seven was an extremely hard one to compile – the line-up is that good! There are far more acts who we think need to be checked out at Reading & Leeds this year, so much so that we’ve listed some of them here: Drenge, Neck Deep, Peace, Spector, Slaves, Royal Blood (below), Alt J, PVRIS and Alvvays. 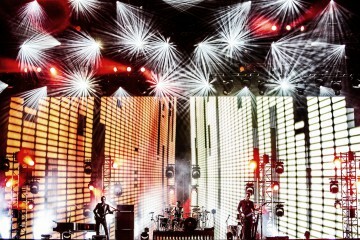 Reading & Leeds Festivals both take place from 28-30 August at Little John’s Farm in Reading and Bramham Park in Leeds. You can buy tickets for both weekends here, and by clicking here you can listen to a playlist with artists from across the weekend.